For our Featured Poem this week, we’re looking to what lies beneath as The Big Dig gets underway at Calderstones Park at our HQ in Liverpool. It’s the very first time the park has been opened for historical excavation, and we’re keeping our ears close to the ground – figuratively speaking – as for the next two weeks our volunteers will be taking up their trowels and hoping to discover some ancient artefacts that might give us an indication of the earliest settlers to the area. We might have chosen a piece from the ‘Earth poet’ William Wordsworth, but instead we’ve been inspired to whizz from the past right along into the future with this poem from Rudyard Kipling, which speaks rather grandly to the cycle of life we find ourselves a part of. We’ve also a feeling that our hardworking diggers will need their rest and a lie down (perhaps a little bit less than an ‘aeon’), so this will hopefully do the trick in providing something to relax with. As the leaves are cascading, it’s a time to take notice of the trees lining the streets and scenery around us – and there’s exciting news as one of Liverpool’s most famed trees has been shortlisted to become England’s Tree of the Year. 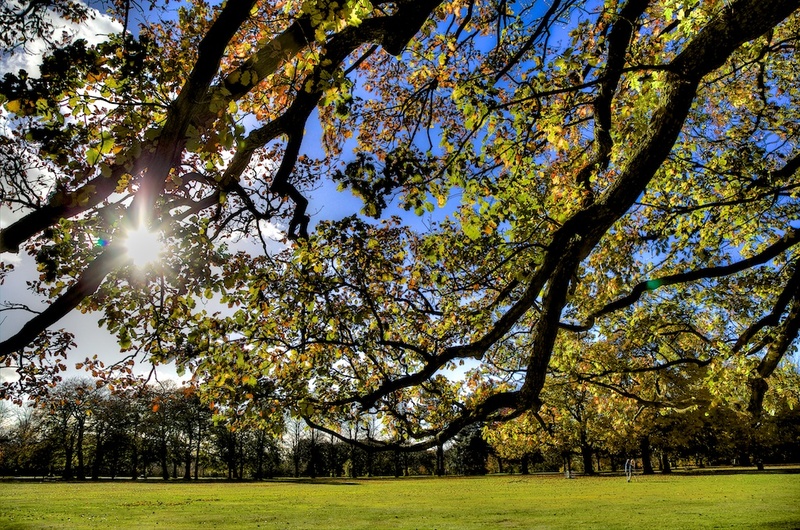 The Allerton Oak – Calderstones Park’s star attraction – has made the list of ten shortlisted trees, whittled down from over 200 nominations. The first England’s Tree of the Year award has been organised by The Woodland Trust to recognise the cultural and ecological value of England’s countryside, as well as to discover which is the most unique and well-loved of the country’s trees. 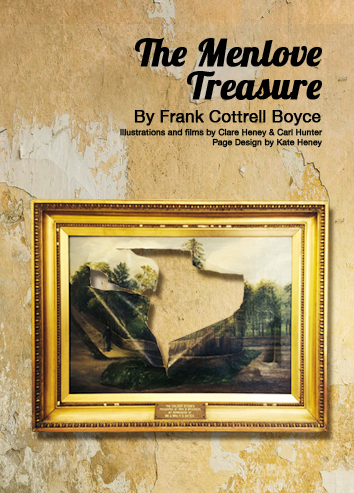 The list contains trees steeped in all kinds of history and heritage, including one where the Magna Carta was thought to have been signed and the inspiration for Newton’s discovery on his theory of gravity. The Allerton Oak itself has many stories to tell, with its fables famous across the city. It is believed to have stood in Calderstones Park for over a thousand years, though in fact it is probably nearer to being 800 years old, and was the meeting place of The Hundred Court of Liverpool, in the absence of a court being available. 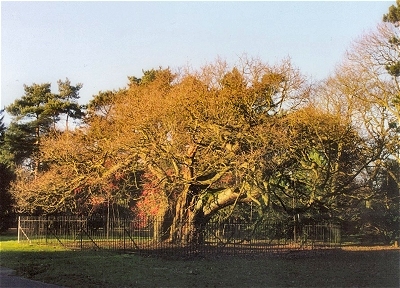 The Allerton Oak has also weathered destruction – some of its branches are missing and propped due to damage caused by the explosion of a gunpowder ship called the Lottie Sleigh in the River Mersey, which split the tree in half – and was also incorporated into keeping the spirit up during WWII, when leaves from the tree were pressed and included in Christmas cards sent to members of the park’s staff who were serving in the forces. The title of England’s Tree of the Year will be decided by an online public vote, closing on Tuesday 4th November. The winner will go on to represent the country in the 2015 European Tree of the Year contest.